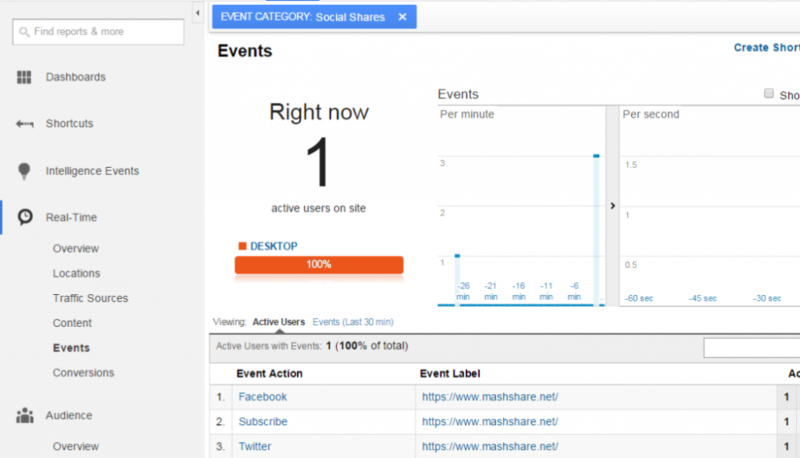 There are several ways to gather Mashshare share data within your Google Analytics dashboard. 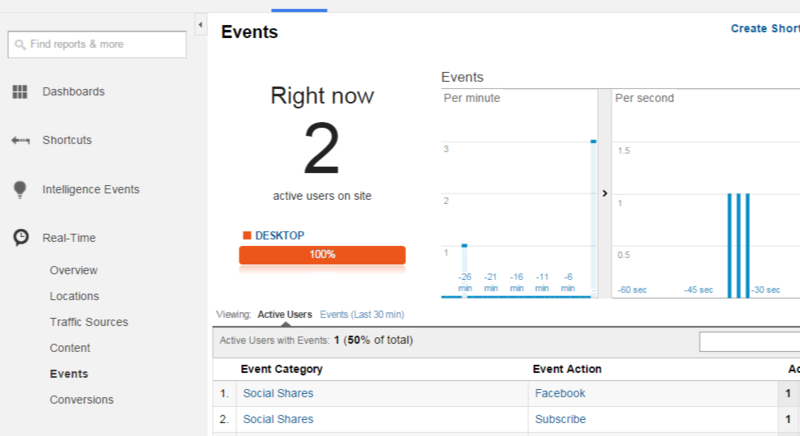 The easiest one is to use the add-on Google Analytics Integration. After successful installation of the add-on follow the steps below to get your share analytics. 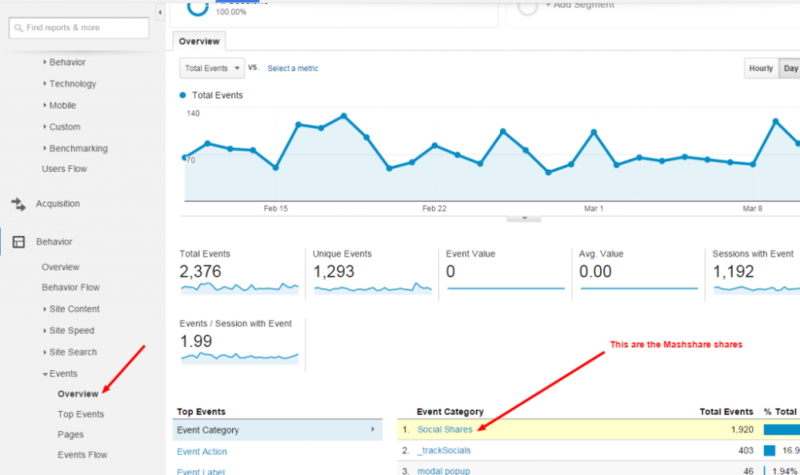 Clicking on “Social Shares” filters all events to only the Mashshare related ones and shows you the event_label, containing the url of the page which is shared at the moment. If you want to see all shares on your page which are done within a specific time frame specify first the time in the upper right corner of the GA dashboard.